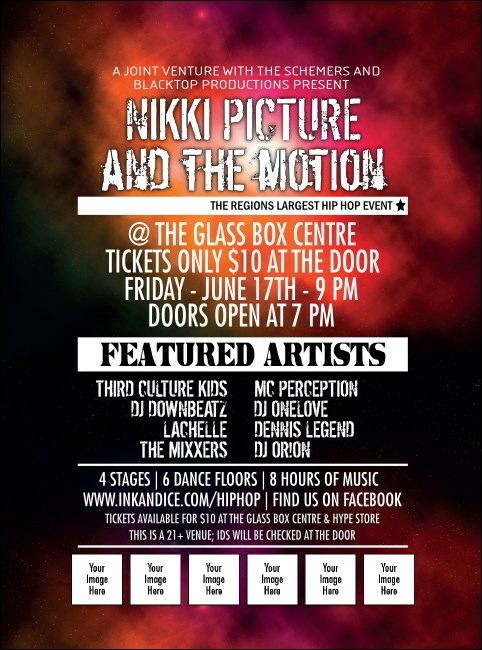 Pump up the volume on your pre-event promotions when you post Galaxy Hip Hop Flyers in advance for your next live show. With six separate spaces for unique image uploads on these templates, these Flyers give you the opportunity to show off your sponsors while you spit mad rhymes and rock the mic. TicketPrinting.com takes care of pre-event promotions so you can chill.